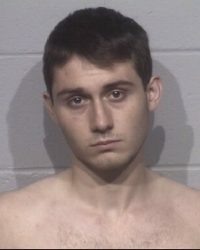 OCEAN CITY, MD – (July 2, 2018): On Friday, June 29, 2018, Ocean City police on uniformed bicycle patrol in the ocean block of North Division Street were approached by three teenage males in a vehicle inquiring about parking. The males had just entered Ocean City via Route 50 before encountering police. 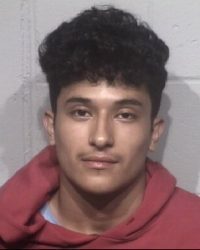 The officers immediately recognized a strong odor of marijuana emanating from the vehicle and noticed trace amounts of marijuana scattered throughout the vehicle. Officers ordered each of the occupants to exit the vehicle. During a search of the vehicle, officers located approximately a half pound of marijuana along with prescription drugs, methamphetamine, brass knuckles, an assisted opening knife, and several items of drug paraphernalia. Additionally, officers located a full face mask in the vehicle and a .25 caliber handgun. Each of the three occupants of the vehicle were placed under arrest. They were identified as a Gavin T. Kaiser, 16, Emmanuelle N. Ruiz, 18, and a 17-year-old male of Arlington, VA.
Kaiser has been charged as an adult with several counts of drug and weapons charges. He was seen by a Maryland District Court Commissioner and transferred to the Worcester County Jail and released on July 1 after posting $10,000 bond. Ruiz has been charged with possession of an assisted opening knife and possession of metal knuckles. He was released on personal recognizance. The 17-year-old male was referred to the Department of Juvenile Services.